Could the sci-fi legend get the TV adaptation he deserves? It's been a bumper year already for sci-fi TV, with Netflix bringing Richard K. Morgan's Altered Carbon novel to screens, Duncan Jones' Mute following it and Westworld set to make a return for series 2. 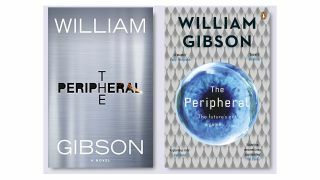 Not wanting to be left out, Amazon made a big signing for its Prime video service, bringing legendary cyber-punk author William Gibson's novel The Peripheral to its streaming platform. Set to be scripted by Lisa Joy and Jonathan Nolan, the creative team behind the aforementioned Westworld re-imagining, Amazon have greenlit an entire series, without taking its usual pilot episode test-run route. The Peripheral centres around Flynne Fisher, who stands in for her brother (a security specialist) in a virtual world hosted in a near-future America. However, as you'd expect, all is not what it seems, and when Fisher begins to recognise London landmarks, and witnesses a murder, the creeping feeling that this could be happening in a real world reality too starts to settle in. Amazon's latest signing will follow a string of high-profile adaptations it has in the works, included a new series based on the Lord of the Rings books, and an adaptation of Ian M. Banks' critically acclaimed opening Culture series novel, Consider Phlebas. Gibson is credited as the originator of the cyberpunk movement, planting the seeds for out current notions of cyberspace and virtual reality. While its his Neuromancer novel that many have wanted to see on the bigscreen since it was first published, The Peripheral is still a great story to adapt. And, with a sequel novel on the way this year, there could be plenty more for Amazon to tap into and adapt soon.